My workers have been scheduled in their events, but they can only add uncharged time! There are two areas where you can schedule workers to a job: on the Quote and on the Site Visit. 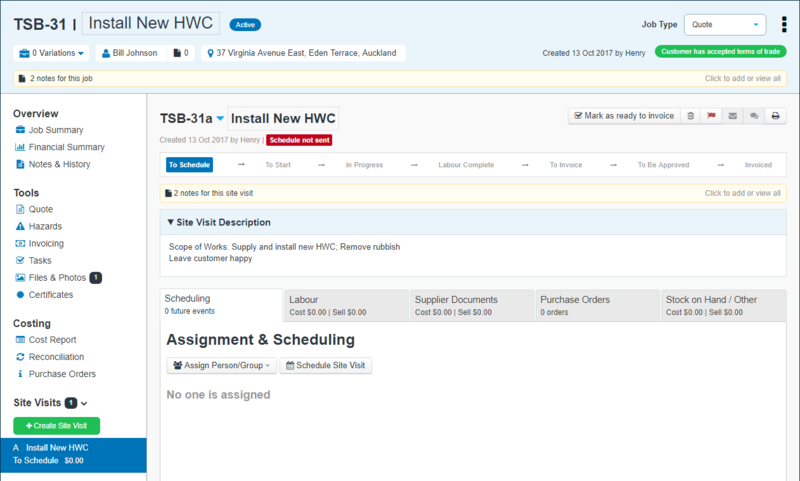 Fergus treats quoting time as uncharged and materials are tracked on the job's site visits, so if the event has been scheduled from the quote, then your staff will not be able to add materials or chargeable labour. To schedule employees for actual work you will want to schedule them from the site visit.